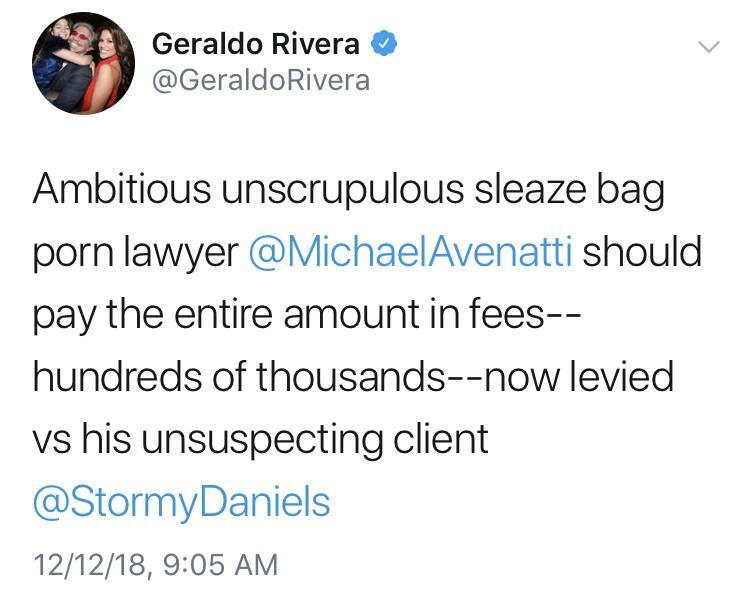 I know that Geraldo Rivera passed the exit of relevancy a longtime ago, but still, is language like he used in this tweet necessary? You’re supposed to be a Journalist (I know that’s a stretch in this case) and you should maybe choose your words better, if not for you, do it for Fox News, the network you work for. We don’t even disagree with what Rivera is saying that Avenatti paying the fees, it’s the way he says it. I know his friend Donald Trump calls people names, but as a Journalist, it would be nice to see Rivera dial it back a bit.